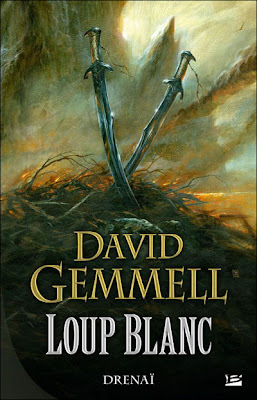 Since this autumn is a season of celebration, with 40th anniversary of Ursula K. Le Guin’s “The Left Hand of Darkness” and 25th anniversary of David Gemmell’s “Legend”, here is a cover art for a novel by the same David Gemmell. This is the cover artwork for the French edition of “White Wolf”, a novel in the same Drenai series that celebrates the 25th anniversary from its first novel release. The novel was released on 15th of September by Bragelonne and benefits from yet another amazing artwork, in the line with which Bragelonne accustomed me with. The artist of this wonderful artwork is Didier Graffet. likes it! I picked up the anniversary edition of legend today. I like it a lot :) I ordered the anniversary edition too.